Can you boost your home’s market value with a new or restored roof? The roofing is the first defense against all the natural elements like water, heat, temperatures. Roofing system should last for a long time if the installation and maintenance are done properly. You should use superior materials and the installation should be made by a professional license holder roofing contractor. Meanwhile, there are many types of materials, but also, there are factors you should know about your roofing, so you don’t choose the wrong one. Therefore, asphalt is easy to install, slate can last for 100 years, and clay even for 150 years. Asphalt shingles are the most common type of material in the roofing industry. Also, they are lightweight, budget-friendly, durable, and come in many styles and colors. Majorly, there are two types, the fiberglass shingles, and the organic mat-based shingles. Installed properly, these shingles are not easy to identify. Some may look like slate or even tile. There are various color choices. They may have lower quality than the other two materials listed below, but they are used as well as the imitation of the other expensive and quality materials. These shingles have many positive sides, like cool technology, are energy-saving and reduce the heat of the roof. A natural slate is a stone, pulled out from the earth. It is very durable, fire and waterproof. But, this material can be easily damaged by hail, debris. There are many types that are softer, harder, which is the main factor of its durability. With time, some slate shingles can become crumbly or flaky and need repair. The slate roofing enhances the beauty of your house and roofing system which boost the market value of your home and property. And also, your house gets a new protection. Slate roofing materials look natural, are incredibly durable, and easy to install. Slate is are available in a big palette of various of blends and colors. There are varieties to choose from. From easy installation, high durability, easy installation. Clay tiles are very popular in roofing because they provide strong protection against the natural elements, and are durable. These are available in a variety of colors, styles, and textures. The lifespan of these clay tiles can last between 40 to 100 years. It is produced from a clay mixture, shaped in a molding process, dried and then fired, this process is similar to the making process of natural ceramic. There are many colors you can choose, from natural red to other similar colors and notes. They also have their famous mineral composition. It needs low maintenance, they are insensitive to natural influences like frost, cold or heat. Therefore, these materials can last for 100 to 150 years. 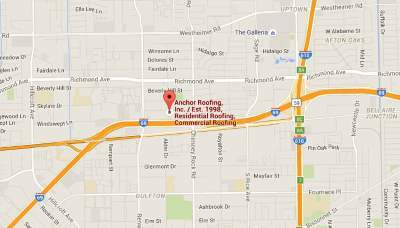 Clay is also flexible, which means that the clay roofing is easily installed or repaired. Each of these materials can boost the market value of your home, some of them maybe even more. However, there are several factors while choosing the right material for the roofing system. Do not hurry up, contact a professional who can help you in choosing the best for you and your home.